iBooks is not quite as unreliable and confusing as it was when I wrote about it last year, but neither has it improved nearly as much as loyal iBooks users deserve. Moreover, what little support documentation Apple provides is sketchy and inaccurate, leaving the impression that even the support and documentation departments within Apple are ignoring iBooks. Cohen's library may be an edge case with over 700 titles, but the problems he mentions are basic usability issues that should get fixed. Navigate the astounding world of Westeros with the enhanced editions of George R.R. Martin's magnificent series. Available only on iBooks, they're the best way to read this thrilling epic. Interactive maps, author notes, glossaries, family trees and illustrations add to the adventure, whether you're new to the books or speak fluent Dothraki. 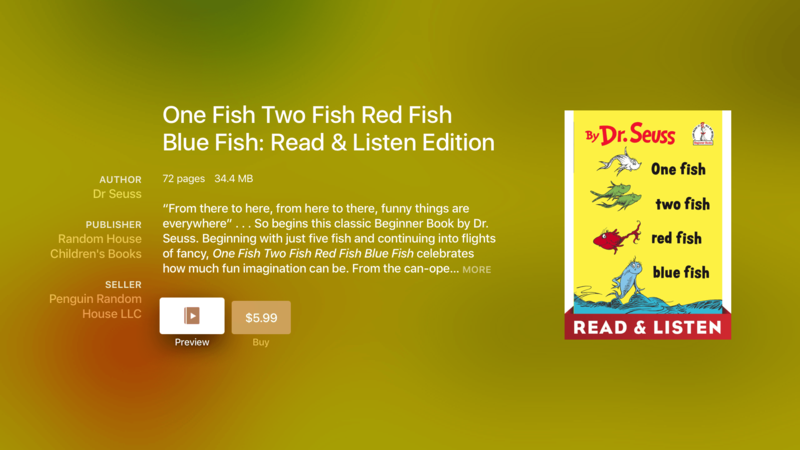 This is not the first time the iBooks Store has released Enhanced Editions of a popular series. Last October saw the release of Enhanced Editions of the Harry Potter series on the iBooks Store, which included new illustrations and animations. Apple today announced that enhanced editions of all seven books in J.K. Rowling’s Harry Potter series are now available exclusively on the iBooks Store for readers around the world to enjoy on their iPhone, iPad, iPod touch and Mac. 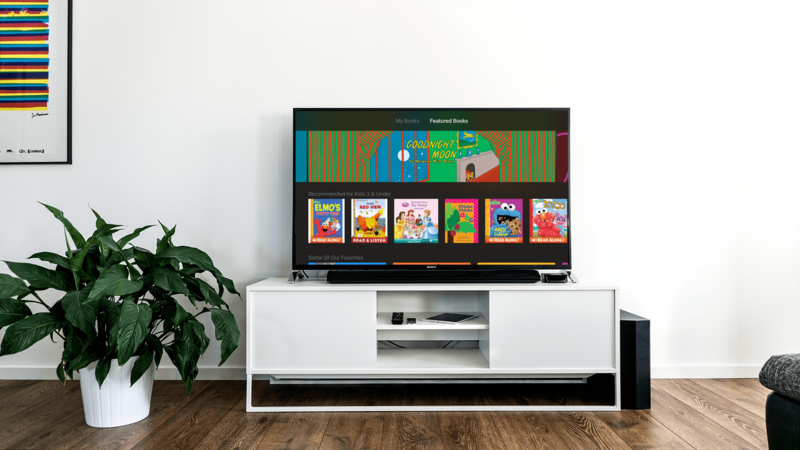 Customers can download individual books featuring full original text, interactive animations and elaborate artwork bringing these beloved stories to life in a unique way. 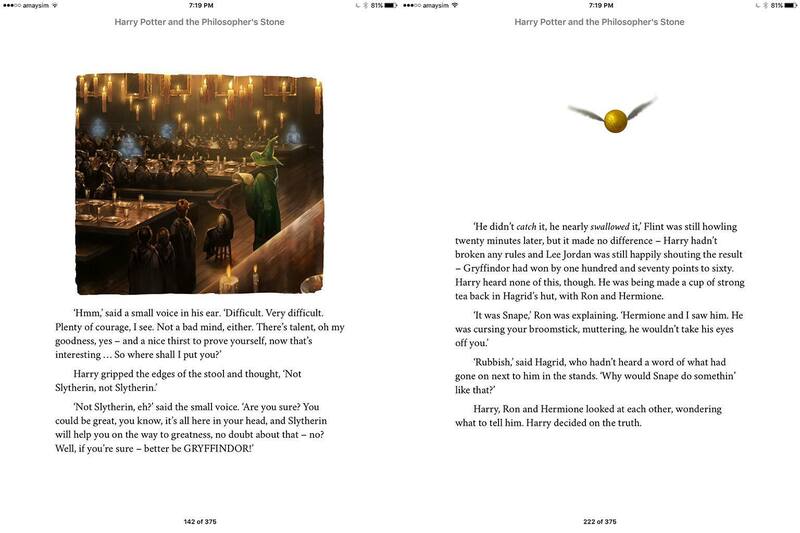 Harry Potter fans will also find annotations throughout their literary journey, written by the author herself. Each book costs US$9.99 and they are available in 32 countries today. French, German and Spanish versions are also available for pre-order and will be released on November 9 in 18 additional countries. I had a quick look through the first book, Harry Potter and the Philosopher's Stone and there are quite a few illustrations. They all look terrific and the animation really does bring it to life (they're reminiscent of the moving images of the Daily Prophet, or perhaps more appropriately, Live Photos from the iPhone 6s). But that's about it, the rest of the book is virtually identical to a standard ePub. The candles in this image hovered up and down, whilst the Snitch fluttered around on the page. Note how Apple said “downloaded onto iPhones” and not “entirely read on iPhones” – but still, it makes sense for people to read books (and I would assume, web articles) more continuously and ubiquitously on an iPhone than an iPad, especially thanks to the iPhone 6 and 6 Plus. 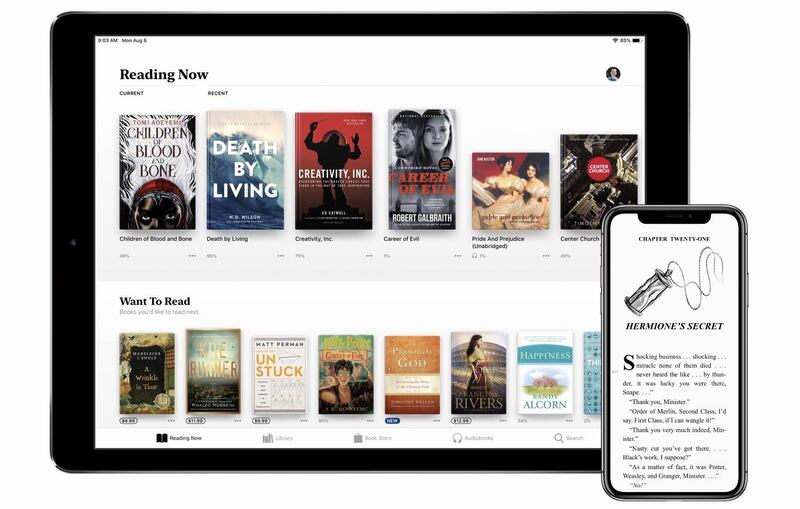 The US Court of Appeals for the Second Circuit today upheld 2-1 the 2013 verdict that found Apple and major publishing companies conspired to fix e-book prices. “Plainly, competition is not served by permitting a market entrant to eliminate price competition as a condition of entry, and it is cold comfort to consumers that they gained a new ebook retailer at the expense of passing control over all ebook prices to a cartel of book publishers,” Livingston wrote. Because of the long‐term threat to competition, the Sherman Act does not authorize horizontal price conspiracies as a form of marketplace vigilantism to eliminate perceived “ruinous competition” or other “competitive evils.” Indeed, the attempt to justify a conspiracy to raise prices “on the basis of the potential threat that competition poses . . . is nothing less than a frontal assault on the basic policy of the Sherman Act.” And it is particularly ironic that the “terms” that Apple was able to insist upon by organizing a cartel of Publisher Defendants to move against Amazon — namely, the elimination of retail price competition — accomplished the precise opposite of what new entrants to concentrated markets are ordinarily supposed to provide. In short, Apple and the dissent err first in equating a symptom (a single‐retailer market) with a disease (a lack of competition), and then err again by prescribing the disease itself as the cure. Previously available on the web from Apple's developer portal, the company's iOS Human Interface Guidelines are now on the iBooks Store as a free download (via Dave Addey). The 20 MB guide is compatible with iPads as well as Macs running iBooks on OS X Mavericks, and it takes advantage of the app with inline video playback, two-page page layouts, and built-in annotations (plus, of course, font size and color controls for reading settings). It looks like Apple did a nice job in converting the guidelines to iBooks, and annotations appear to be especially useful for developers and designers learning the principles of the iOS 7 visual language. The iOS Human Interface Guidelines are available on the iBooks Store here.